Posted on December 14, 2011 by stephanie married. Usually during the holidays I don’t do too much baking. That is mainly because half the of the items made get eaten before they are given… and I can’t blame it all on my husband. 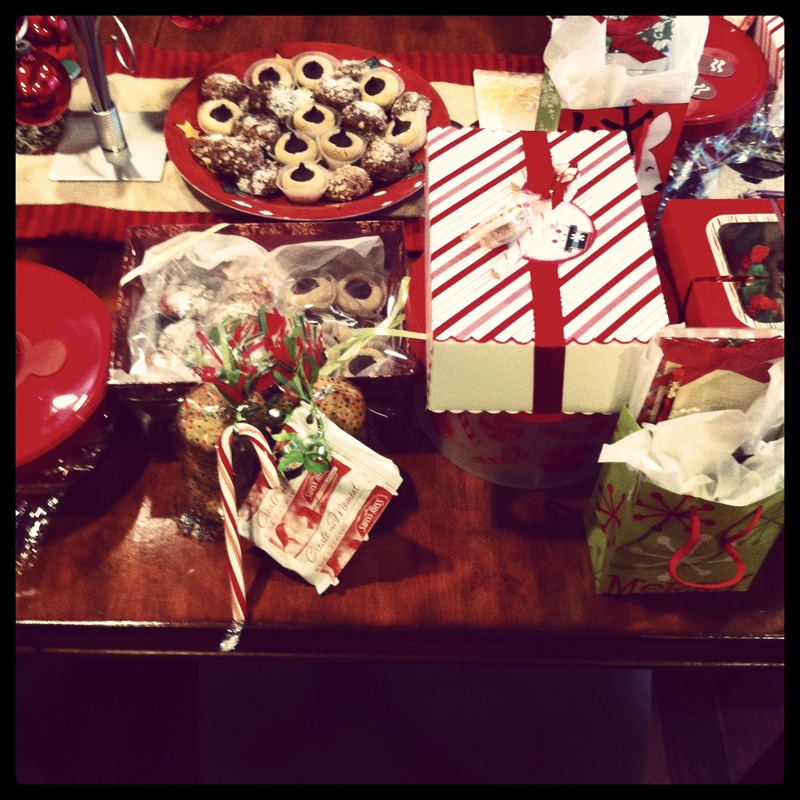 This year we made a bit more, partly because of the cookie exchange I did with my family and partly because of the holiday bake sale at school. The main reason for all the baking though? Pinterest. Oh, Pinterest. 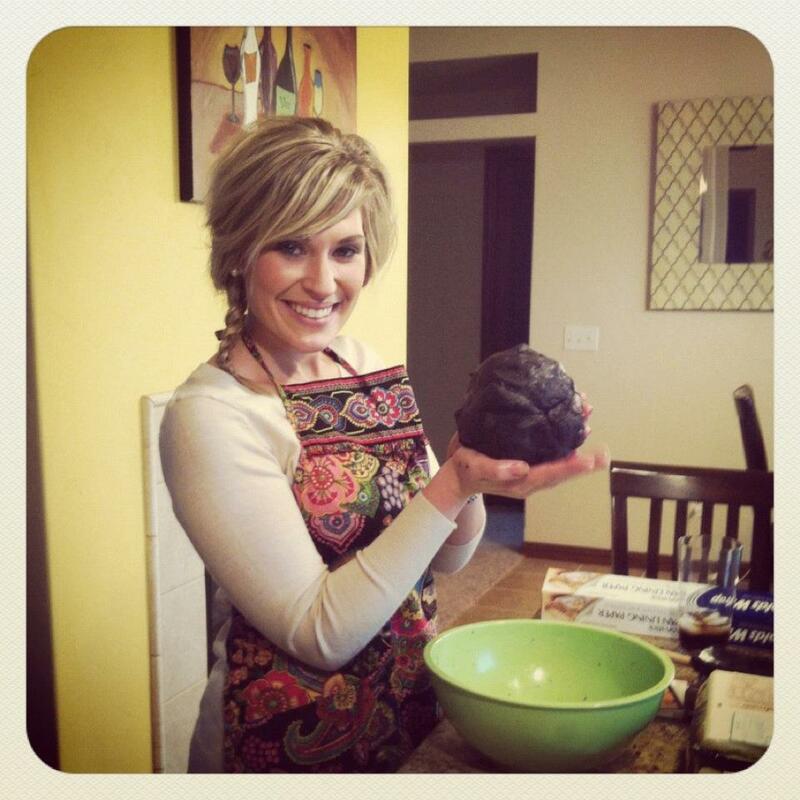 That is one giant truffle…. 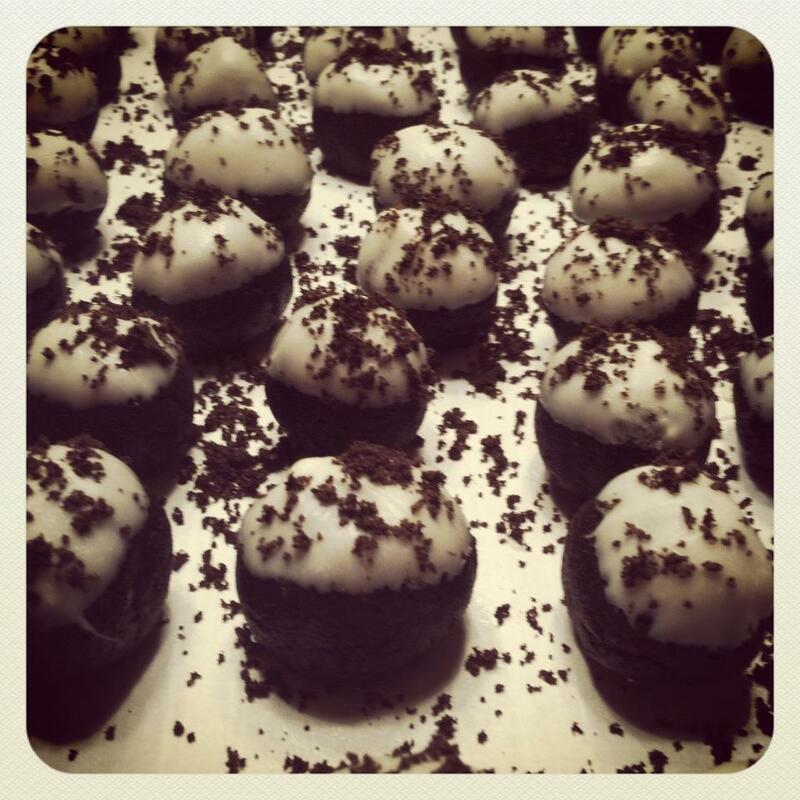 The Oreo truffles for our cookie exchange were so easy! You can find the recipe here. Packaging for our exchange! 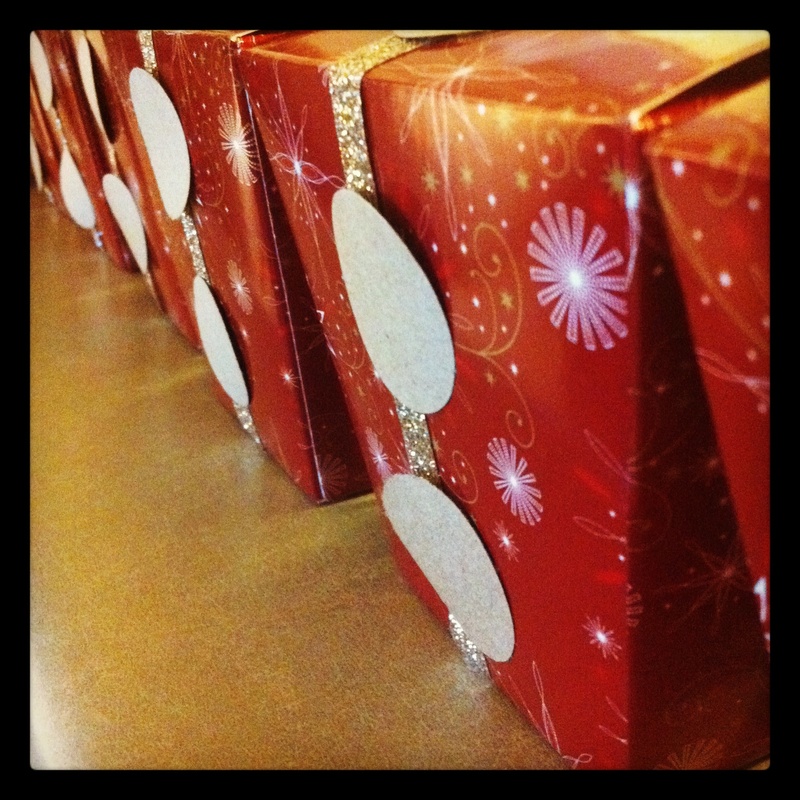 Chinese boxes wrapped in ribbon. I could not resist these reindeer cupcakes for our school’s bake sale. How fun are these? 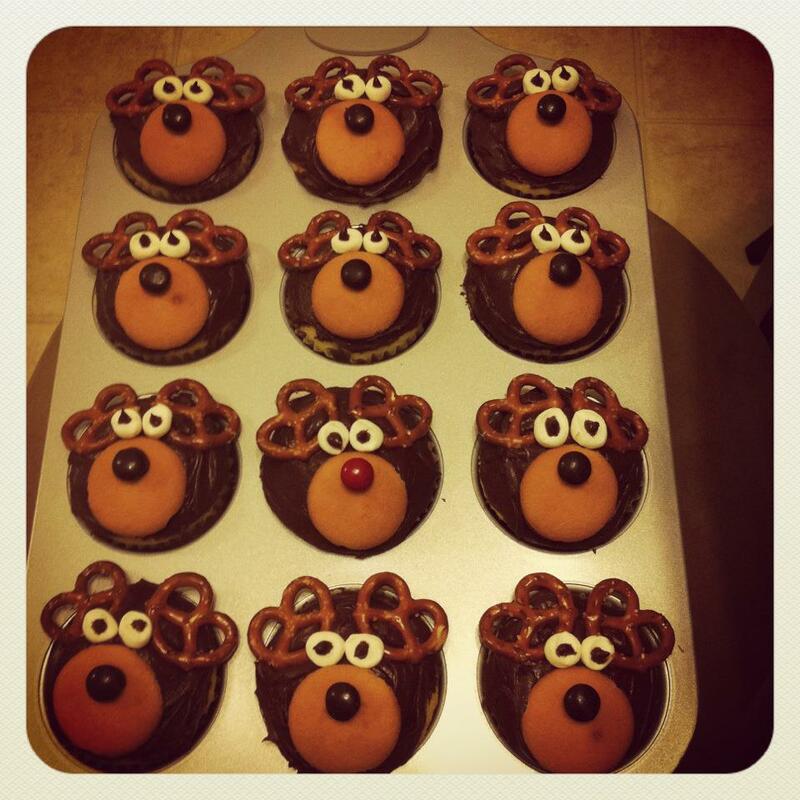 Hope you are having as much fun with your holiday treats!